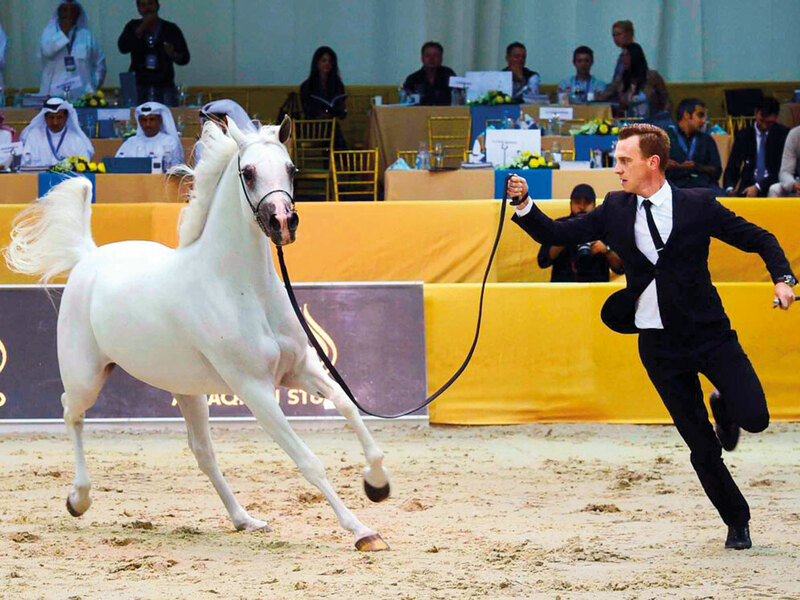 Dubai: The countdown has commenced for the 2019 Dubai International Arabian Horse Championship (DIAHC), a high-profile competition that showcases the beauty and majesty of Purebred Arabian show horses. Held under the patronage of Shaikh Hamdan Bin Rashid Al Maktoum, Deputy Ruler of Dubai and UAE Minister of Finance, it is one of the richest and most prestigious events of its kind in the Middle East. First held in 2004, this year’s renewal of the DIAHC will be held at its traditional home at the purpose-built indoor venue within the Dubai International Convention and Exhibition Centre from March 21-23. Some of the best show horses in the Middle East and the rest of the world will compete for prize money valued at $4 million (Dh14.7 million). The DIAHC culminates in the six championships — Yearling Fillies, Yearling Colts, Junior Fillies, Junior Colts, Senior Mares, Senior Stallions. Qusai Obaidalla. Executive Manager of the DIAHC said he was looking forward to a bigger better event this season. “The Dubai International Arabian Horse Championship has grown in leaps and bounds and today enjoys the status of being one of the best and most anticipated horse shows in the Middle East. “We are ever thankful for the patronage and support of Shaikh Hamdan, who is in constant communication with the management team in the build up to the show. “These are still early days but we expect to host the very best show horses from around the world. The competition is getting tougher each year, thanks mainly to the abundance of Purebred Arabian show horses on the circuit,” he added. The Championship will once again will be enhanced in 2019 with the staging of the Dubai International Horse Fair (DIHF), which will run alongside the Championship. The Horse Fair is the largest equestrian exhibition in the region and caters to everyone in the equestrian world from trade to consumers.